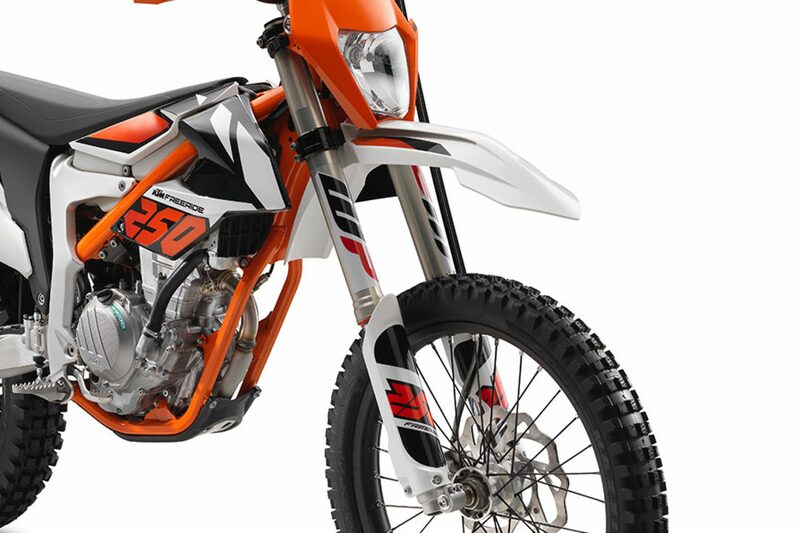 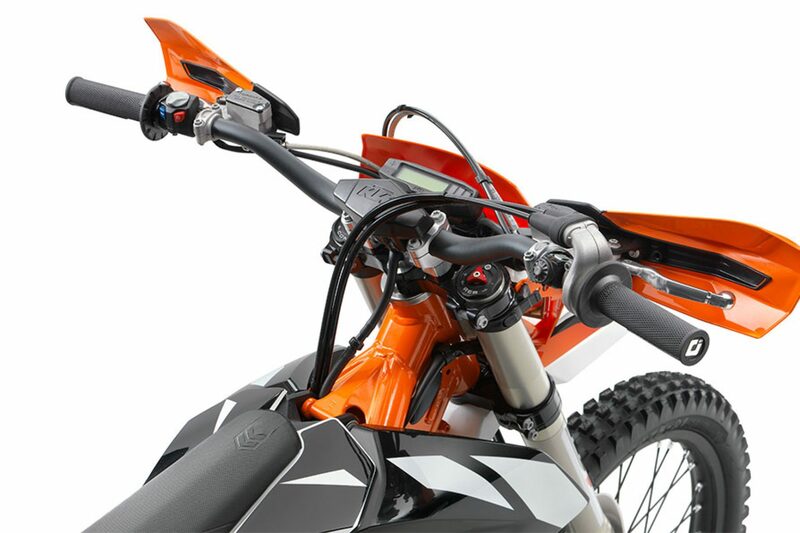 Trials meets enduro with the new KTM FREERIDE 250 F. Lightweight, easy to ride and coupled with exceptional agility makes it any outrider’s dream. 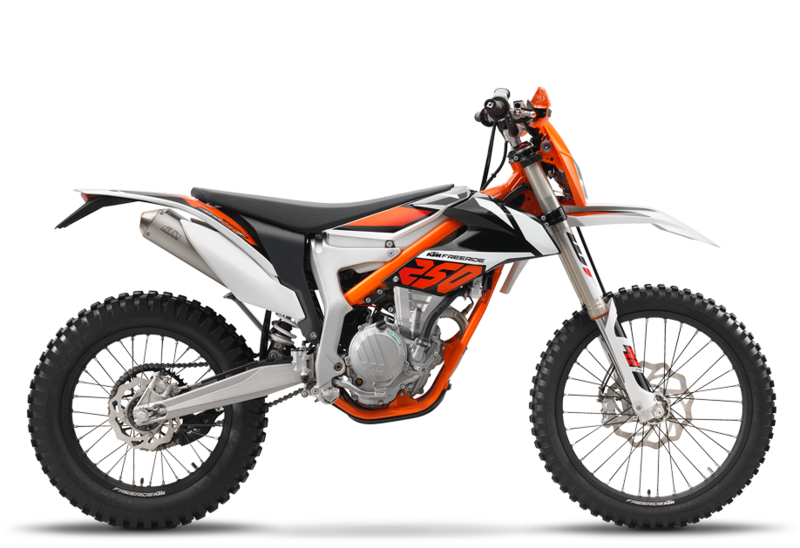 A fuel-injected, state-of-the-art 250 cc DOHC 4-stroke single ensures power is always available, allowing you to tackle the gnarliest of trails with the utmost of confidence. 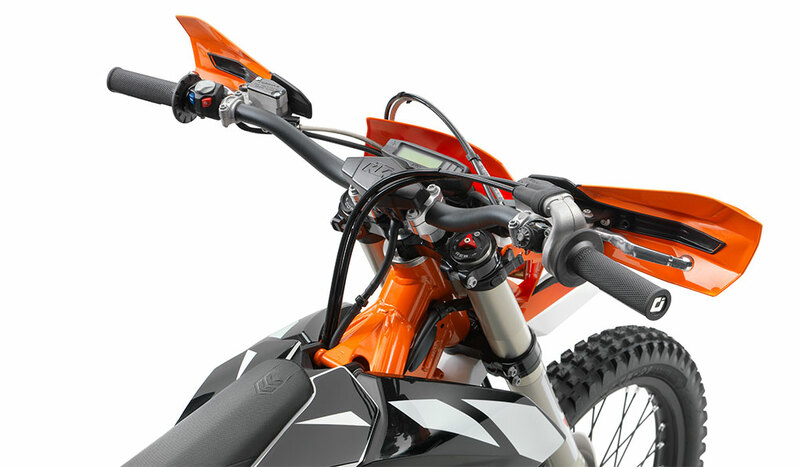 If that isn’t enough, traction control and optional engine mapping make scaling rough terrain as simple as, literally, flicking a switch. 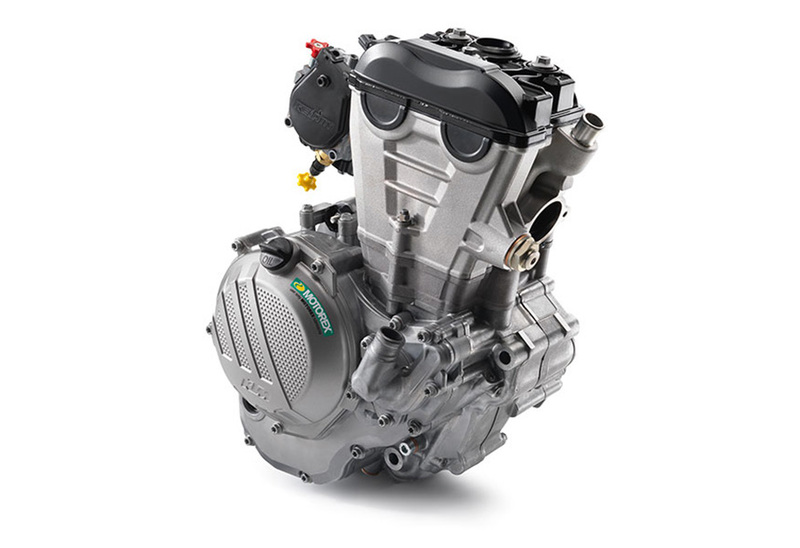 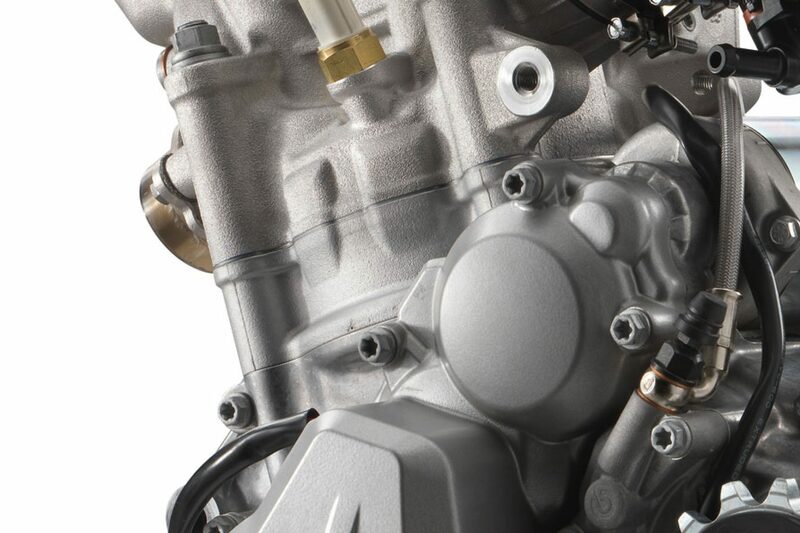 The centerpiece of the compact DOHC engine is this cutting-edge cylinder head. 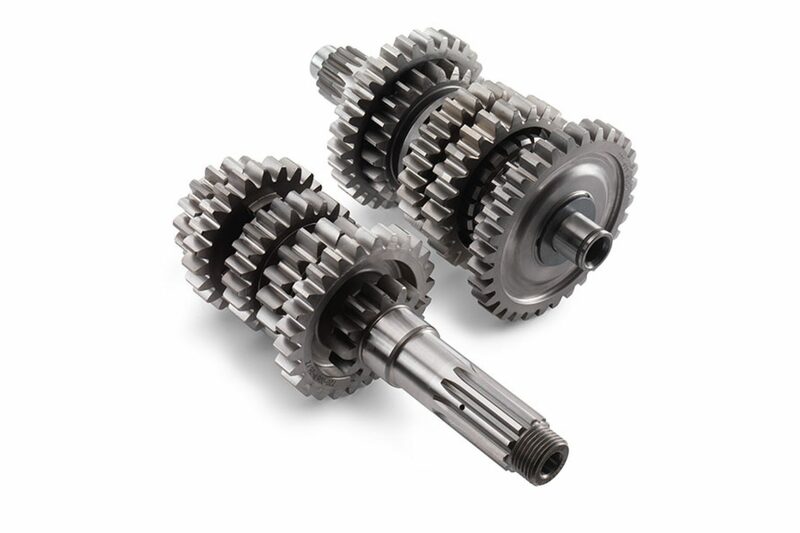 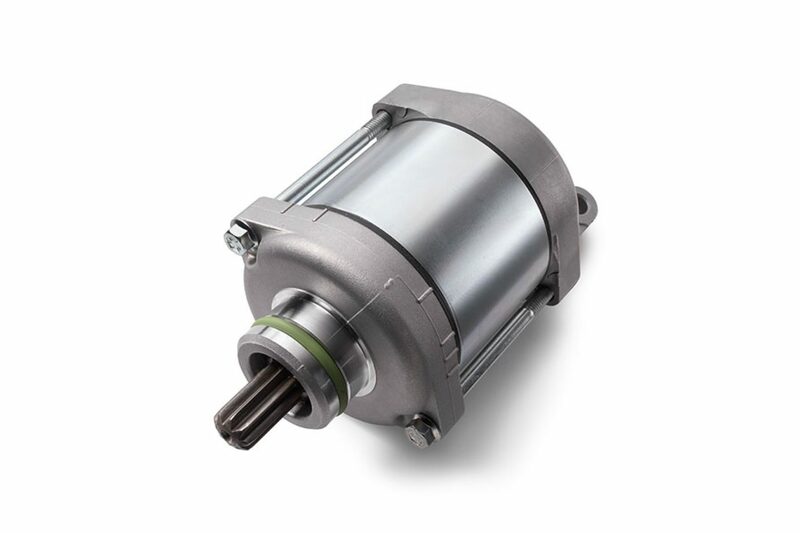 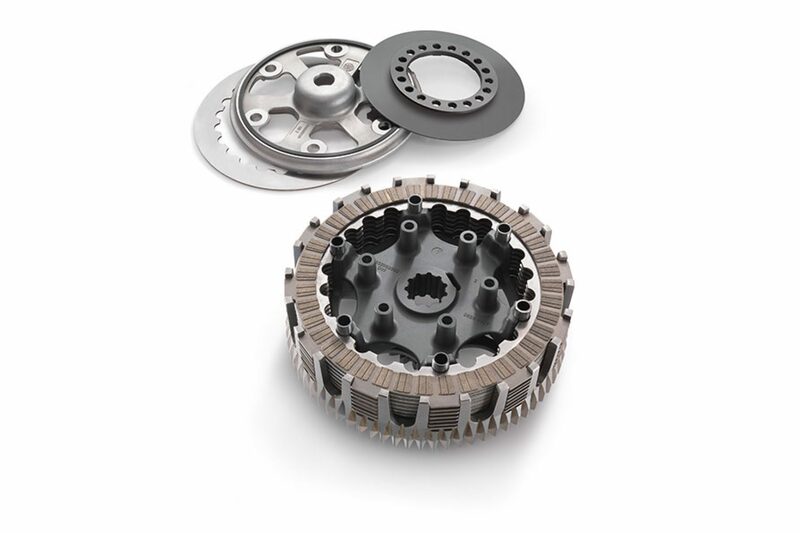 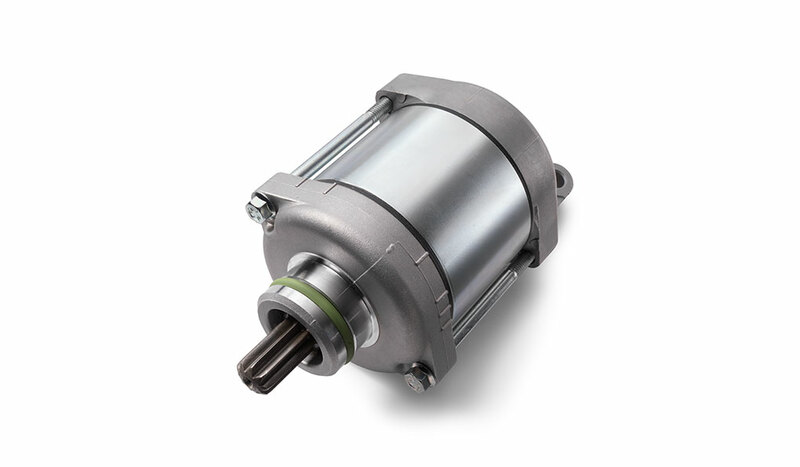 It has light, dual overhead camshafts with friction-optimized finger followers boasting a hard DLC coating. 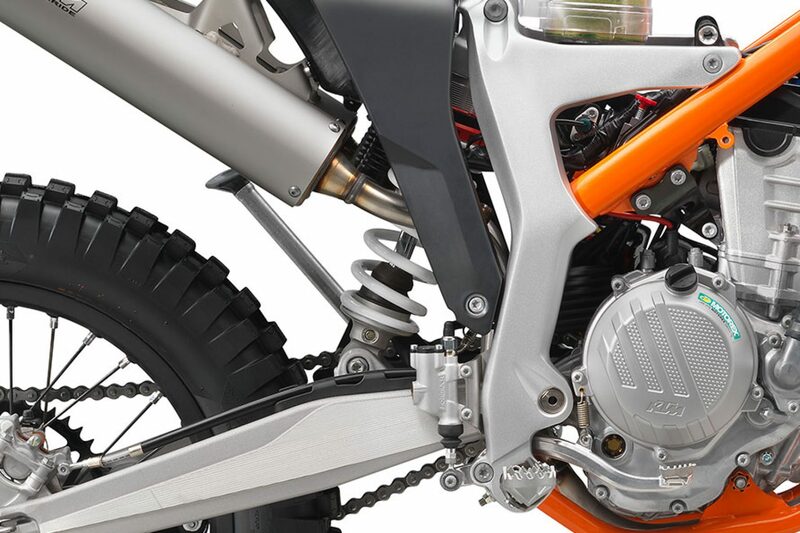 Four durable steel valves are actuated by two overhead camshafts and DLC coated cam followers, up to a whopping 10,000 rpm. 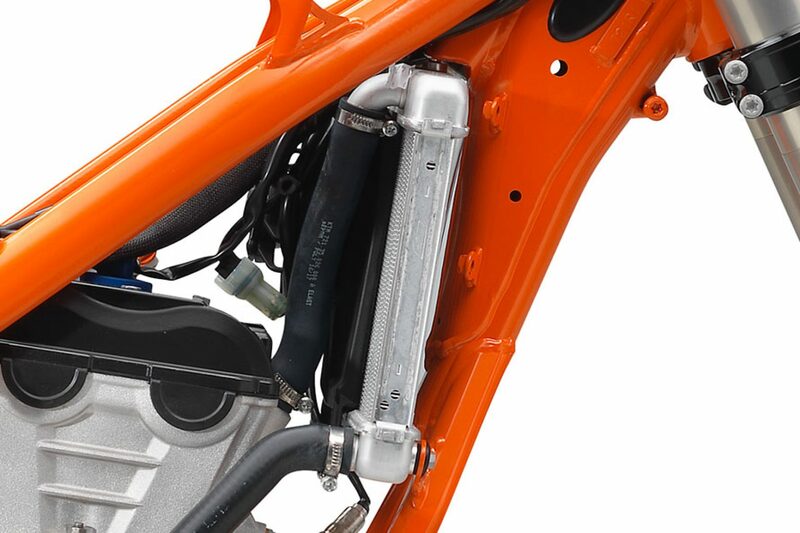 The cooling system routes coolant from the cylinder head directly to the radiator, which is mounted in a well-protected position behind the front frame tube. 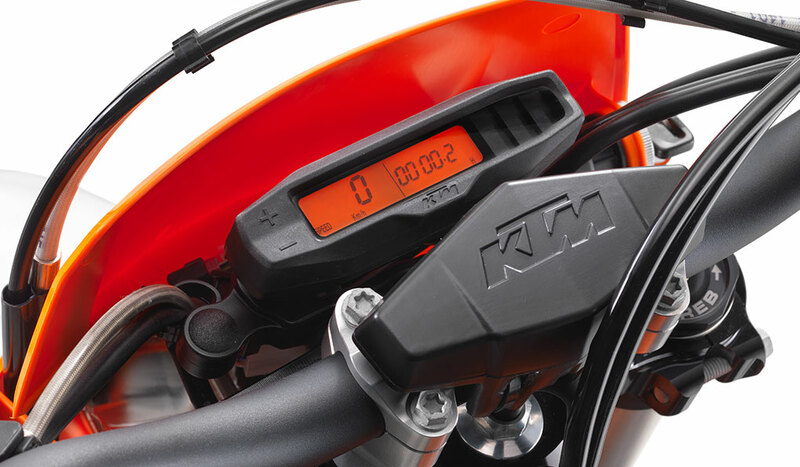 The radiator fan is now controlled directly by the EMS, eliminating the need for a separate temperature switch. 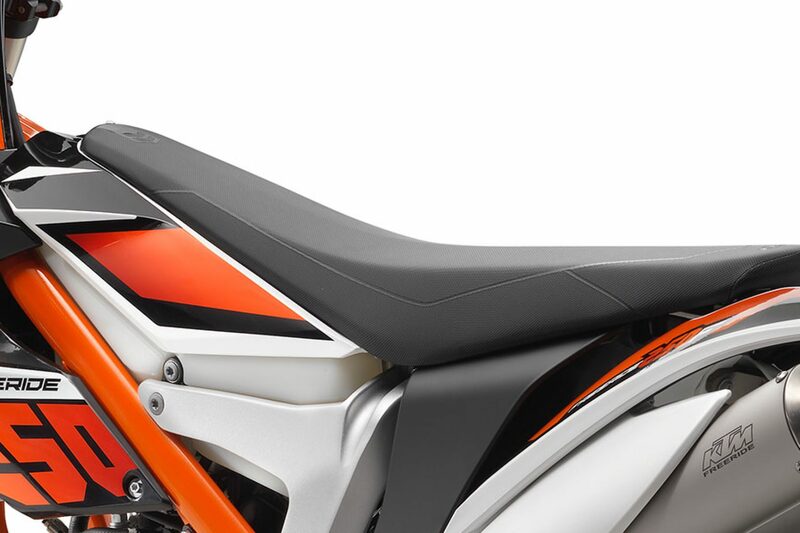 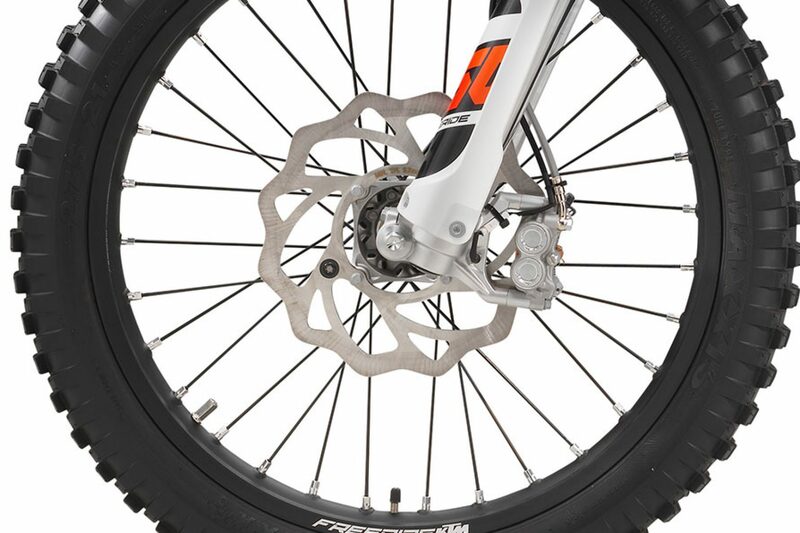 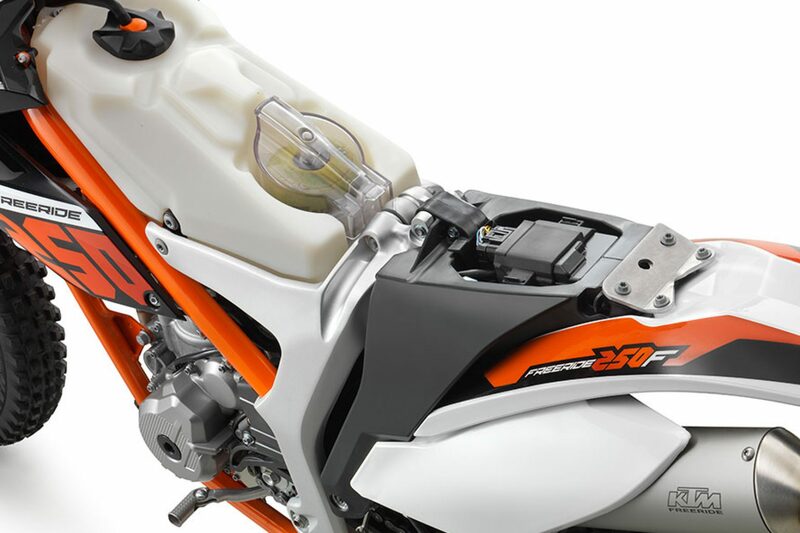 The bodywork on the KTM FREERIDE 250 F aids in providing greater rider mobility with excellent contact points. 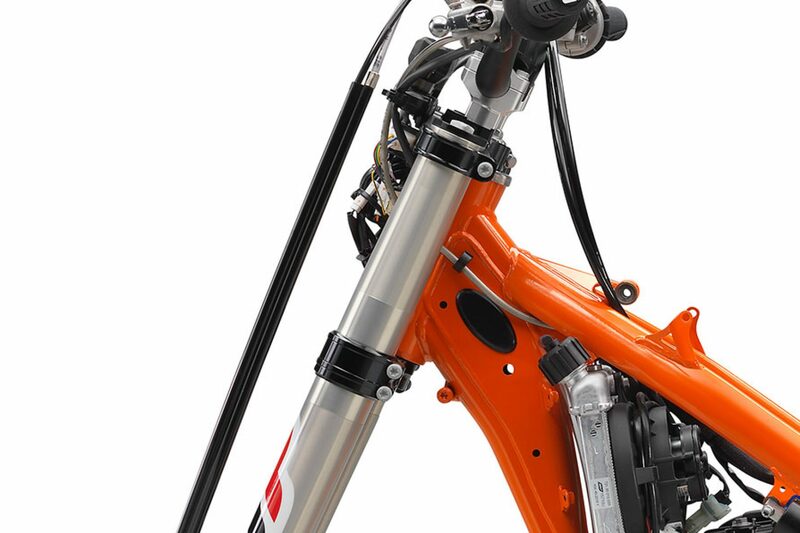 A low seat height is also perfect for shorter riders, while its narrow design and simple ergonomics appeal to both beginners and experts alike.ng and control out on the track. 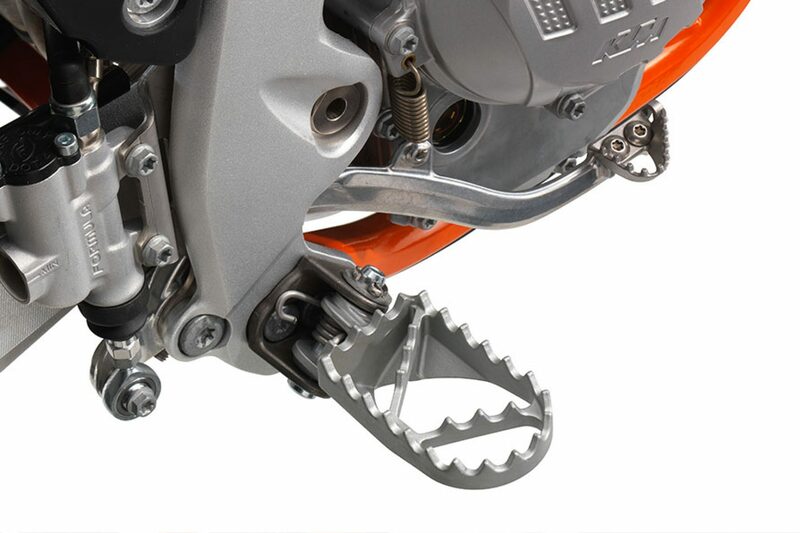 By reversing the footpeg brackets, the position of the footpegs can be moved 8 mm to the rear. 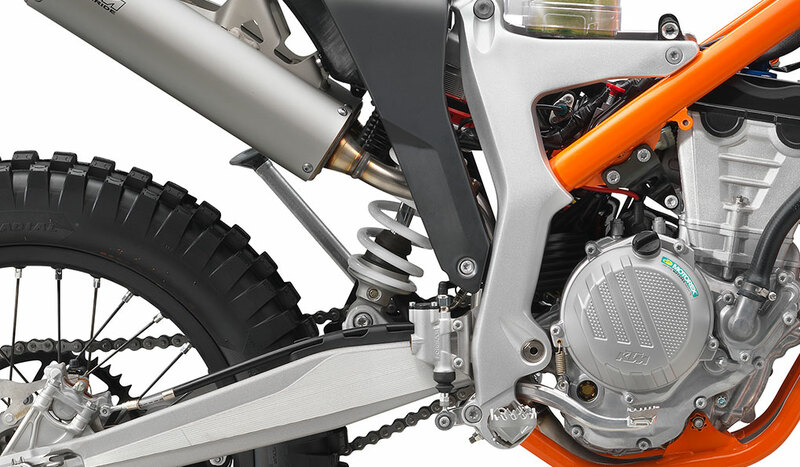 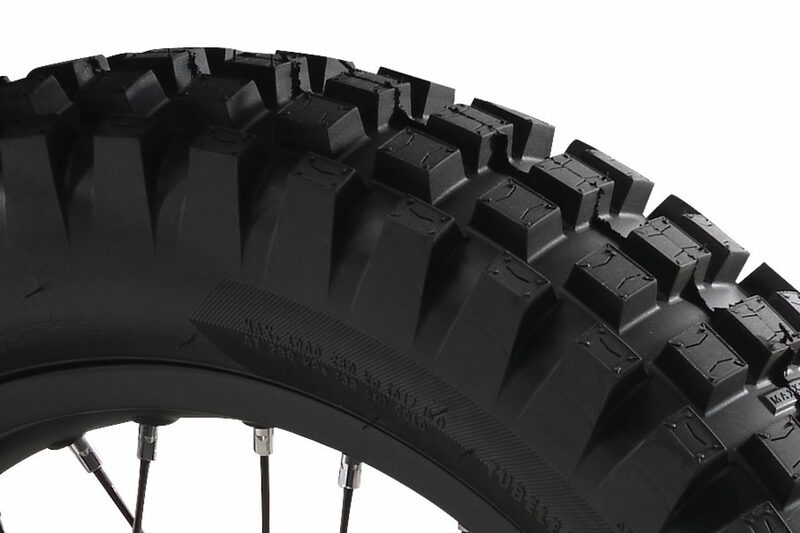 This lets the rider fine-tune the traction and cornering behavior of the bike: the front position means easier cornering, while the rear position yields increased traction. 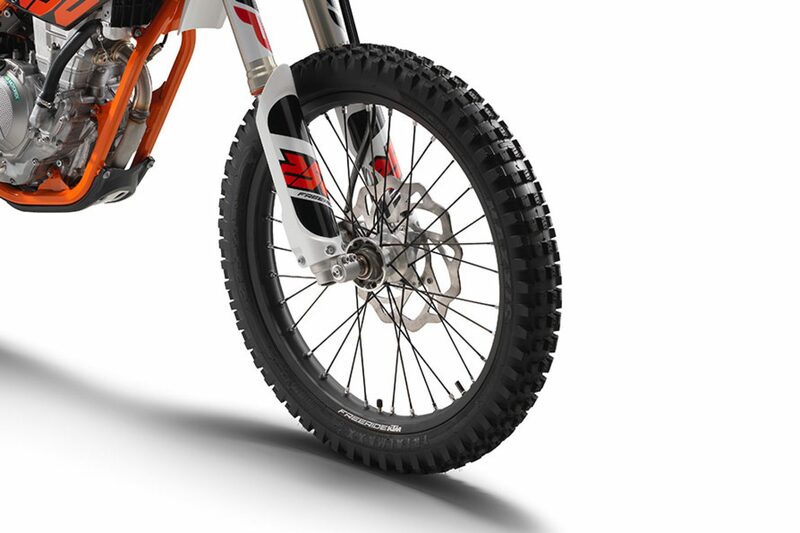 There is no doubting the FREERIDE’s READY TO RACE genetics. 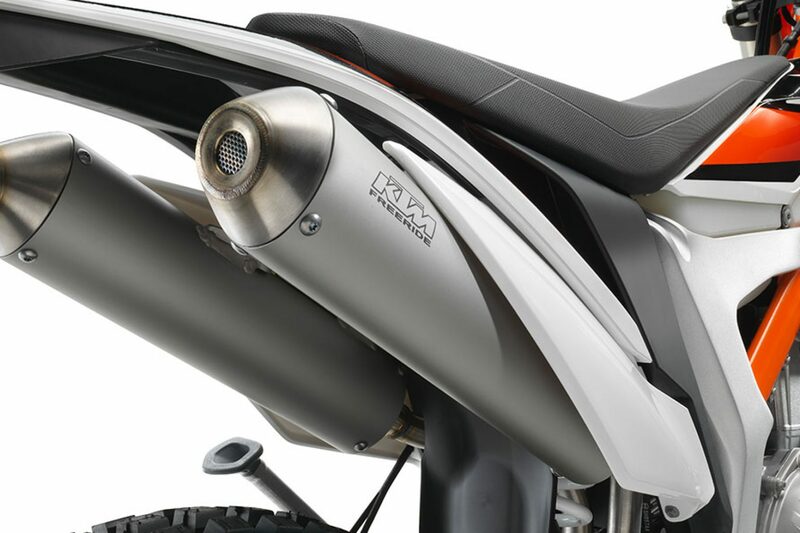 With graphics being cleverly integrated into the body panels to save weight and make for smooth edges, riders can move about the bike without any hooks or lips. 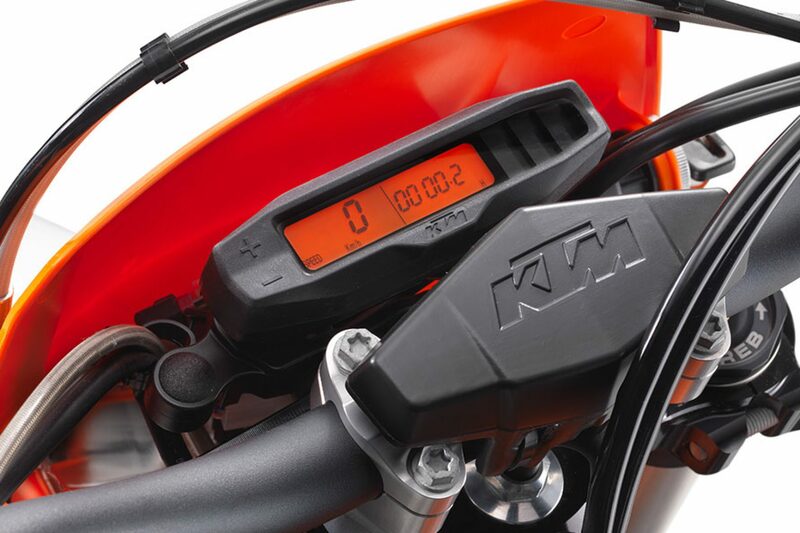 Slim-line designed fenders and standard open-ended handguards complete the package.